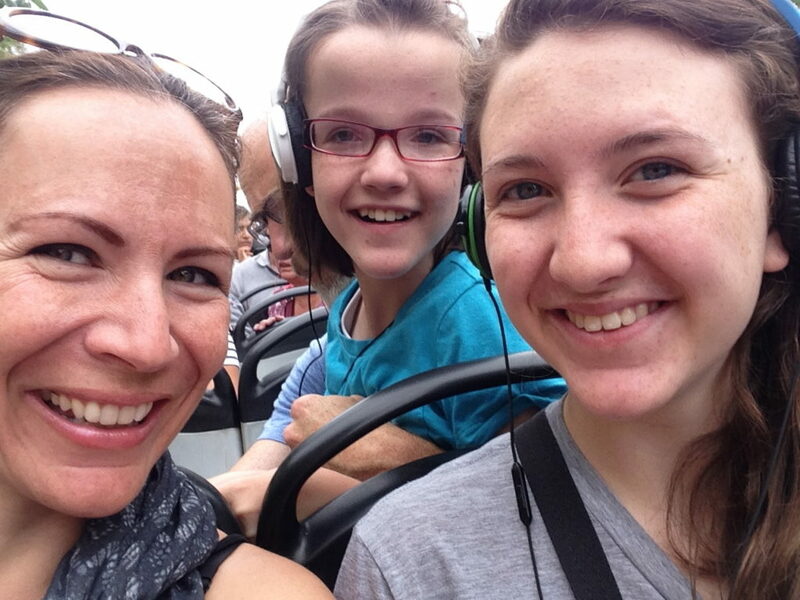 When your child is diagnosed with a disability, all kinds of things go through your mind. When our one-year-old, Leah, was declared profoundly deaf, I immediately imagined all of the things she/we/I would never be able to do. Leah’s now 22, and honestly, I can’t think of anything that kid hasn’t been able to do, other than hear very well. 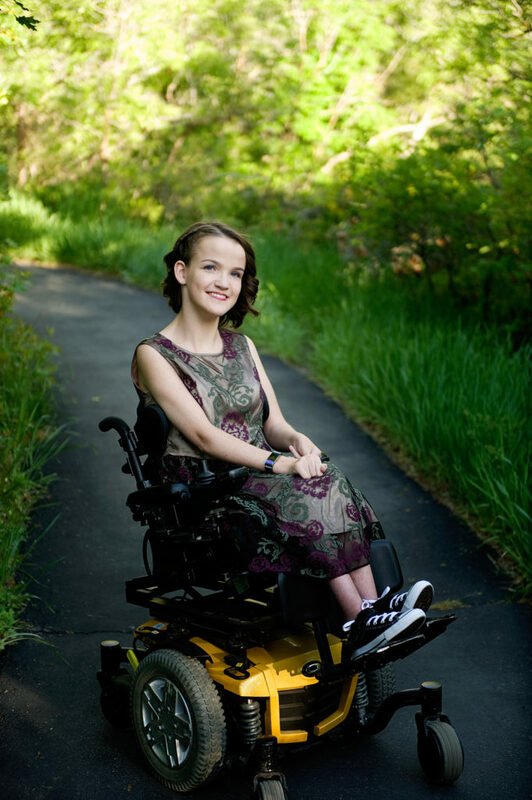 Spina bifida: open spine, some paralysis, shunt, multiple surgeries, she’ll likely never walk, wheelchair, leg braces, Dynamic Ankle Foot Orthotics (DAFOs), bowel and bladder issues… that’s the gist of it. Now you don’t have to Google it. I don’t recall my exact words or thoughts upon hearing this diagnosis. Probably something like “ARE YOU KIDDING ME??? ARE YOU BLEEEEEEEEPING KIDDING ME?? ?” I do remember thinking about the things that she/we/I now would likely never be able to do, wheelchair-in-tow. 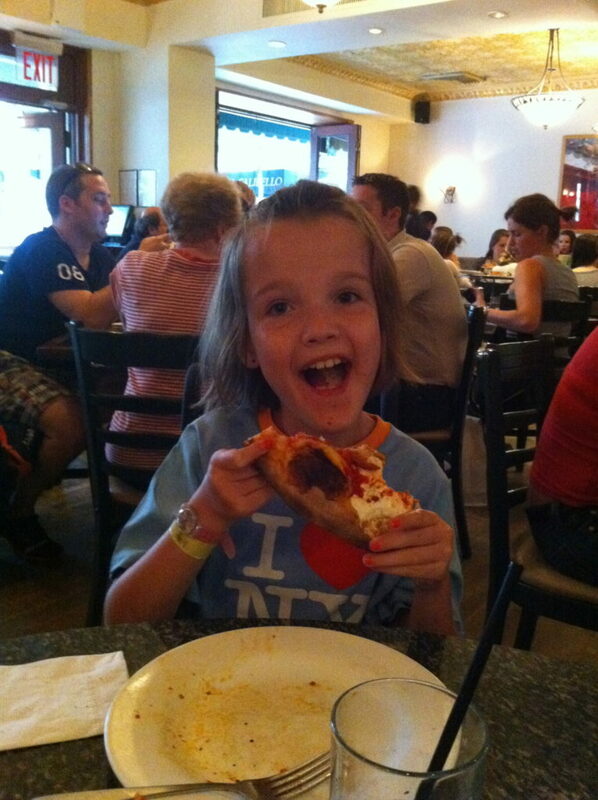 Lucy was also diagnosed with cerebral palsy when she was 9 months old, and the list of things I no longer viewed as possible continued to grow. Lucy’s now 18 years old. She attended mainstream high school and graduated last summer with a regular diploma. 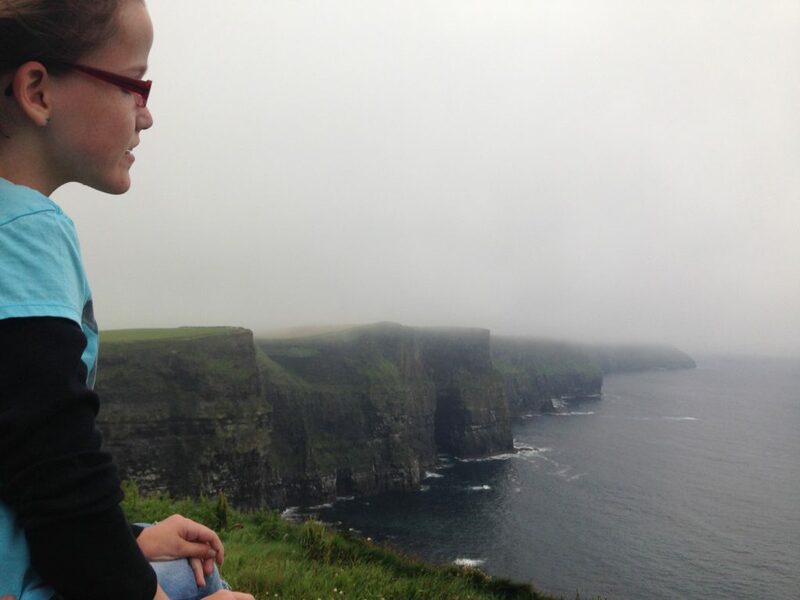 Thirteen years ago I realized that I had made a lot of wrong assumptions about what was possible for my family, our travels, and our children. 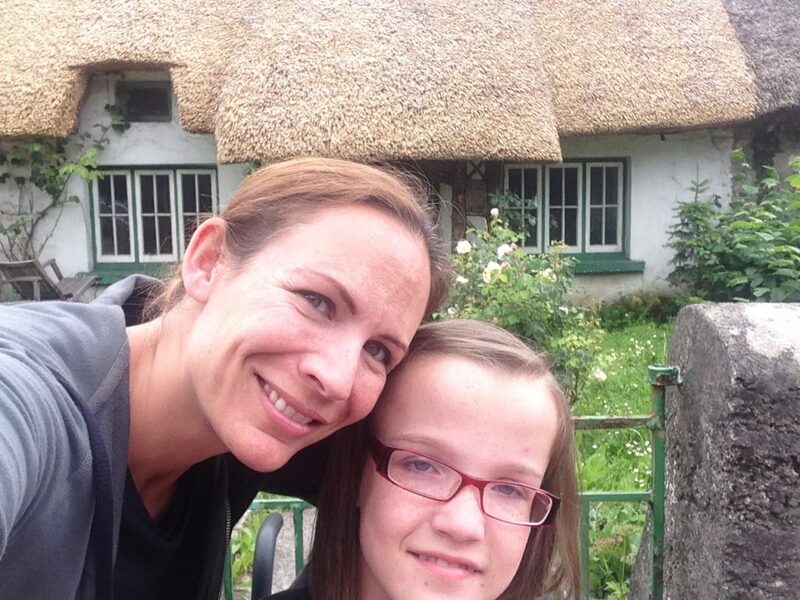 I had made up all kinds of things about what our future would be like… living life with children who have disabilities. I could finally see that I had been living in a way which proved those wrong-assumptions right. Now there was an opportunity to prove wrong my old ways of thinking! If you you’re going to make something up… make up something awesome! Spoiler Alert: It worked out. 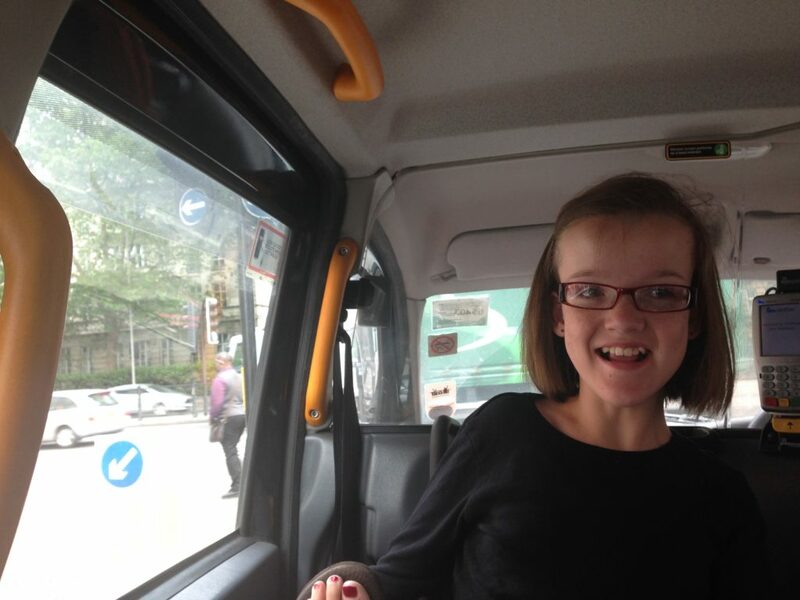 Her wheelchair fit in the trunk of the taxis, and some taxis are fully accessible. There’s a phone number you can call to request an accessible taxi, and both Uber and Lyft now offer accessible services in many cities. 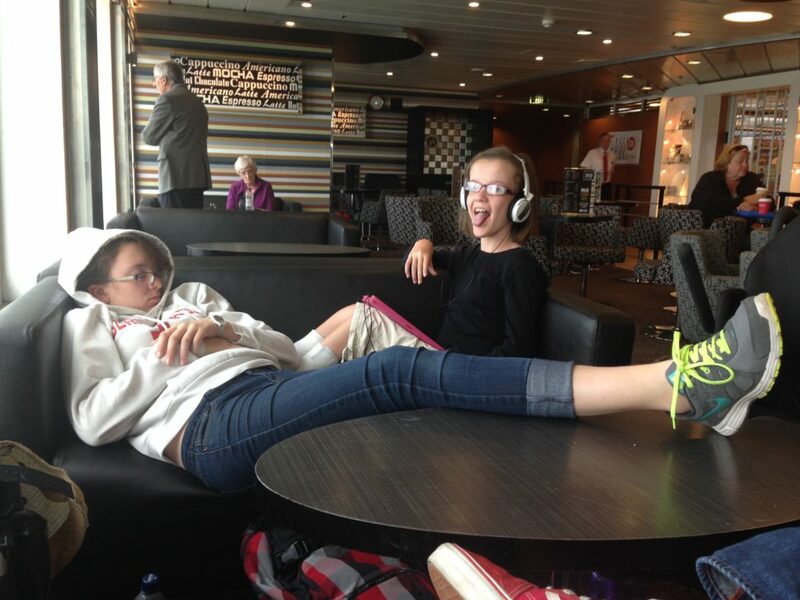 The summer of 2014 Leah booked a school trip to Europe for 14 days. 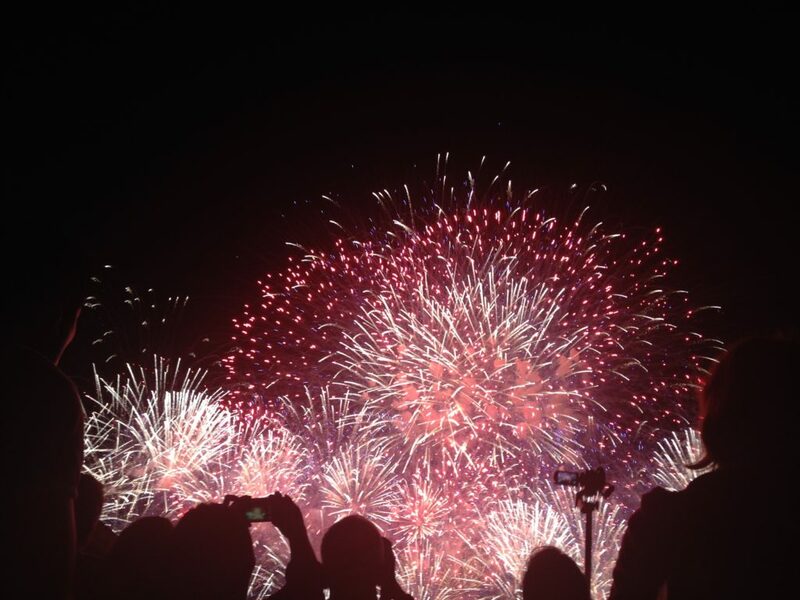 We rounded up our Delta Skymiles and Marriott Hotel Reward points and plotted out meeting up with her in London, traveling throughout Ireland, and ultimately enjoying July 14th, Bastille Day, in Paris! This was sure to be a vacation we’d never get over because of the sheer AMAZINGNESS… or because it was going to be an EPIC failure. 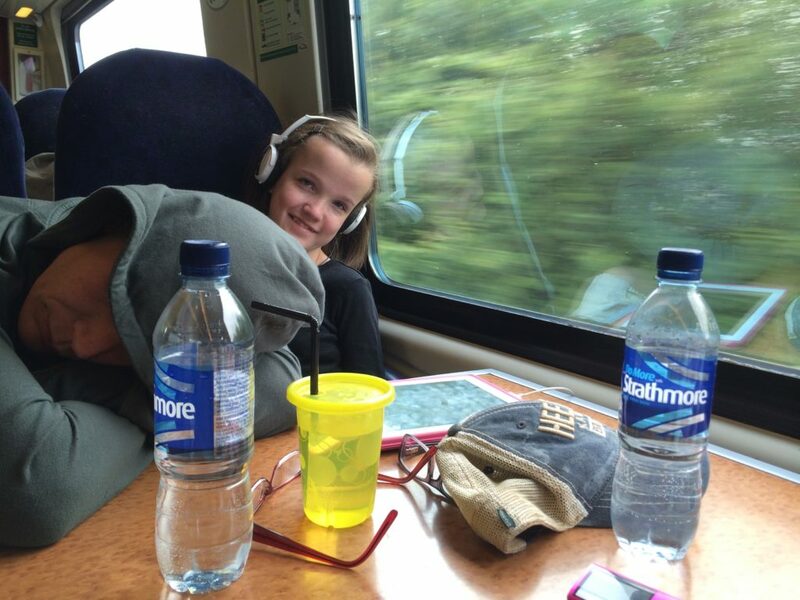 We met Leah in London where she said good-bye to her schoolmates and teachers. Just to test myself, I made sure we travelled by plane, train, taxi, rental car, subway, bus, and ferry. NOTE: Subway, train, and ferry have “handicapped rates” which apply to the person with special needs and one caregiver. TIP: If a city has hosted the Olympics, it is likely to be more wheelchair friendly. Lucy’s manual chair allows us to “bump” her up or down the stairs if an elevator is broken. Every time we needed to go up or down a set of stairs, we had plenty of strangers willing to help. I just can’t image arriving by plane at our destination to find there is something very wrong with her power wheels, and then attempt to lug that 200-pound monstrosity everywhere, while physically carrying Lucy throughout a trip. I’d love input on that from any power chair users who travel domestically or internationally. Big Red Bus – up top! 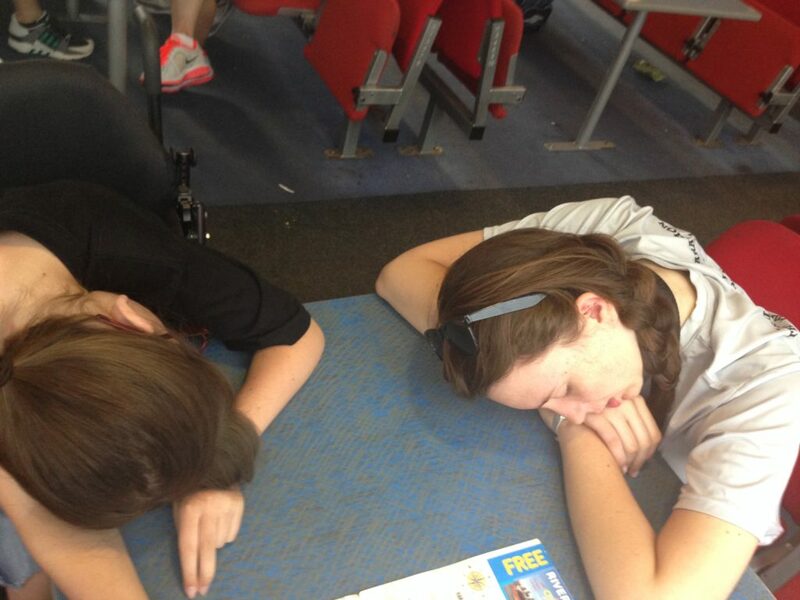 High-speed train – I’m asleep! Ireland was fantastic. We rented a car and drove ALL OVER! Every time we got in the car I reminded Aaron “Stay to the left! Stay to the left!” There were so many tiny streets and so many cars driving fast and the steering wheel was on the right. Stay to the left! Driver on the right! 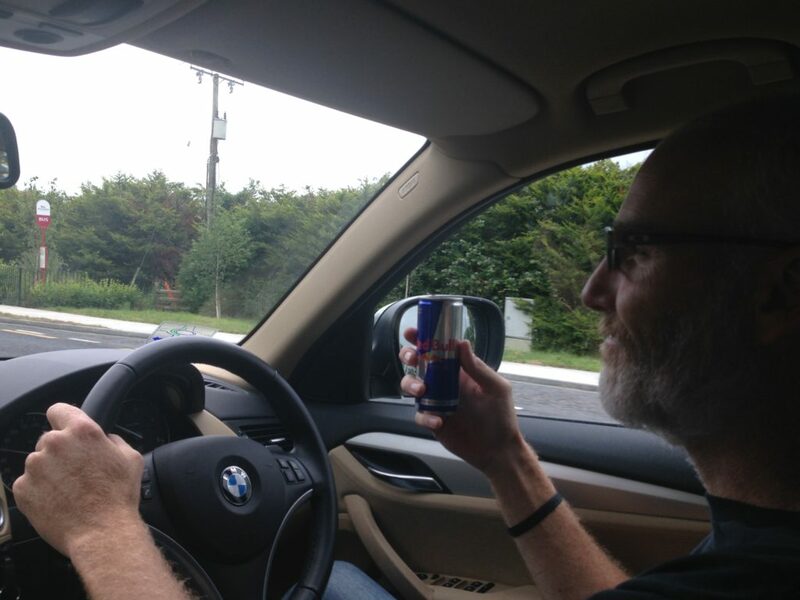 Redbull to the rescue! 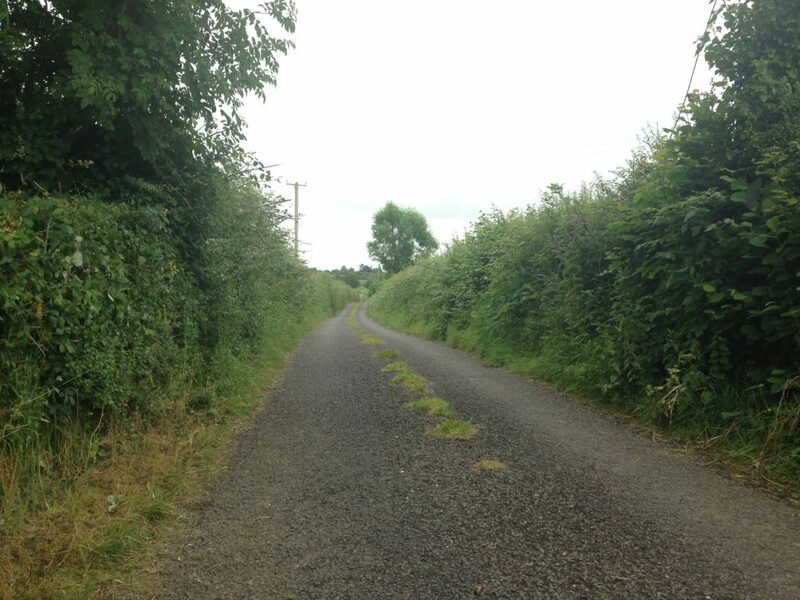 Pretty sure this is one-lane… oh, no. It’s two lanes. Step 1: Open your calendar, get out your wallet, and make one of your “somedays” obsolete. Step 2: Forever remove “someday” from your vocabulary. 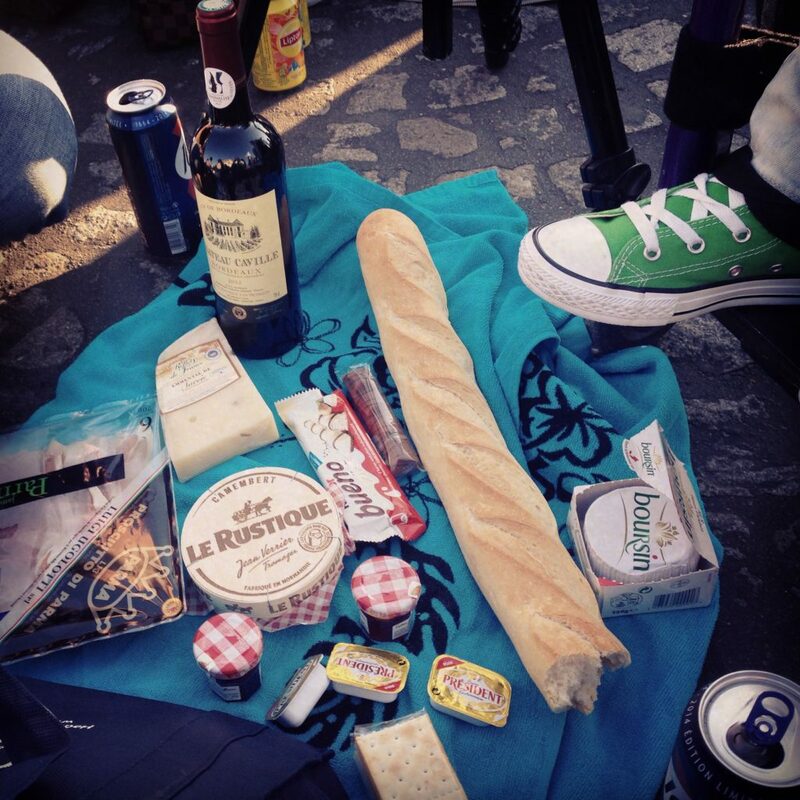 Bastille Day, 2014 – Paris, France: We bought some wine, some meat and cheese, plus chocolate, and a few baguettes… like you do when you are in Paris! 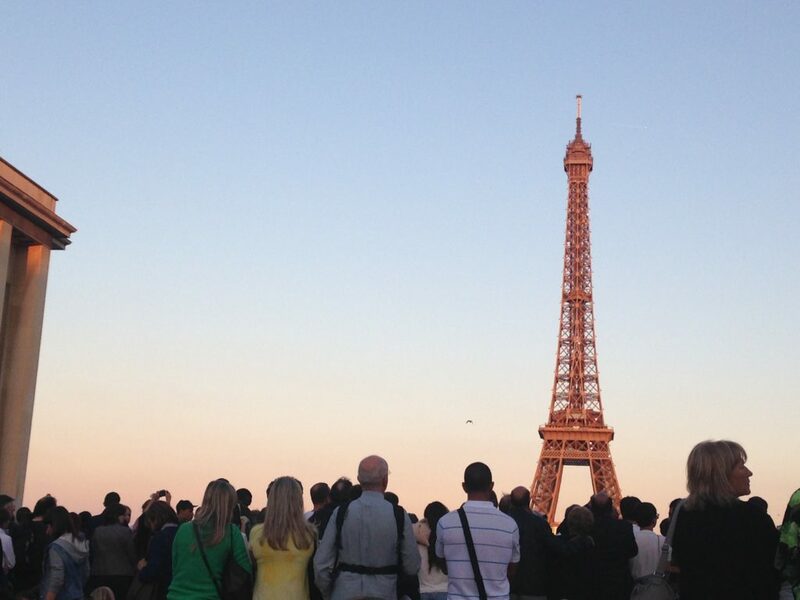 Then we found a spot with a few hundred-thousand other people, with a great view of the Eiffel Tower. We sat in the street eating, talking, and laughing as the sun set. That could’ve been enough. I could end this happy tale right here… But then, something really amazing happened. The sky was dark. John Lennon’s “Imagine” started to play, and tears started to fill my eyes. Eighteen years ago we talked about this day. For eighteen years, we imagined this very moment. I cried because we did it! We actually did it! And then, I cried harder, because DAMN we just did so much more than what we ever imagined would be involved in this adventure. 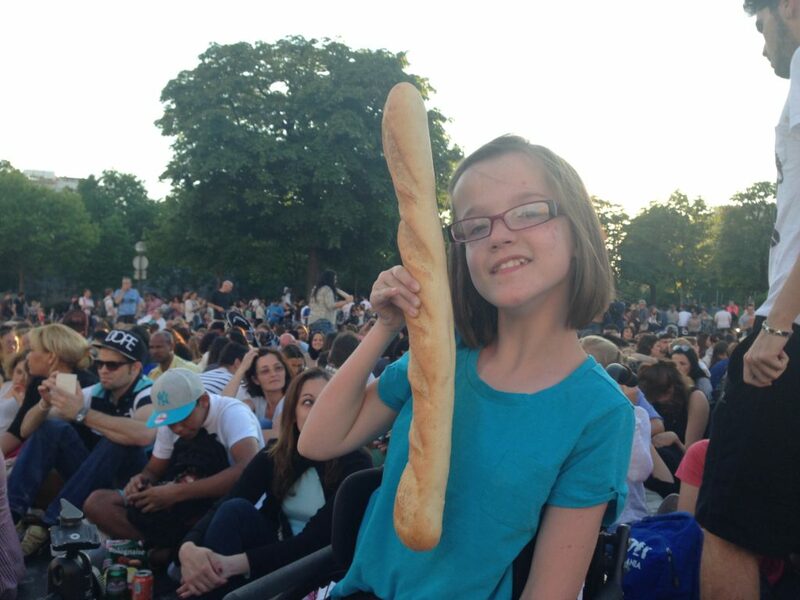 Back in 1996, when we first talked about spending Bastille Day in Paris, we didn’t even have a deaf child, let alone a child with a wheelchair. That night in Paris, I looked back over our eighteen years together and I cried because I was really proud of us! Our real story was so much better than anything I could’ve imagined. Was it too perfect? The fireworks started and in one movement the entire crowd rose to their feet. 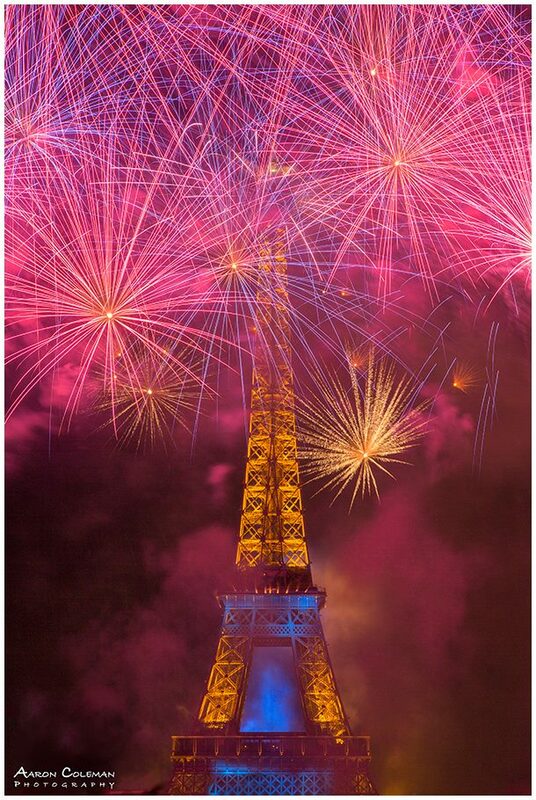 The Eiffel Tower explodes with fireworks! …And that movement blocked Lucy’s entire view, but what could I do? Fireworks. Music. A celebration. So many people! Then, everyone who had been standing in front of Lucy, sat down! I am not making this up! They all sat back down so one little girl, who was sitting (“assis”) in a wheelchair could see the firework display at the Eiffel Tower. In that moment, the universe delivered something for which I didn’t have the words to ask… especially in French!